Knowledge has no value until it is practiced ! Here Django's templating engine is used. For the charting component Google Visualization API is used. Here gpass is a text file containing the password. ps:what is the datastore structure to run this script? i think the moule hist is your datastore class. I think the datastore class I used was "HistoricalPrices" , I am wondering why you got the error for "hist" . Anyway you can design your own schema and use the similar code. Gatling is an open source load testing framework based on Scala programming language. One of the advantage of Gatling over other load testing framework that I have used is that the code is very elegant and readable, thanks to its own DSL. One may not have prior knowledge of Scala to get started with Gatling. There are some documentation in the Gatling website which will help you write simple HTTP calls to your webservices but it gets bit difficult to incorporate the exact scenario of your test case because there are not much variety of example code which you can quickly edit and use. In this article I will try to show most of the structural construct that are frequently used while making a series of dependent web-service calls, typically used by a mobile game client while interacting with the game server. Setup instructions are well described in the getting started tutorial. Following scala code will make a POST request to a mock REST endpoint that I have created using mockable.io. I have been always a fan of panorama images. There are a lot of photo stitching software which can join many overlapping images to create a single one. I have used Photosynth earlier with a lot of satisfaction. There a lot of phones and digital cameras which can do it right out of the camera in panoramic mode, in which you have to slowly move the capturing device and it will continuously take and stitch photos to create larger panorama. While there ares some websites like CleVR and GigaPan can help sharing the horizontal panoramas and let embed in various sites, spherical panoramas like the ones taken from photosphere app in Android 4.2 cameras could not be embedded in a straight forward way without doing some HTML coding. Finally I found a site called SphereShare.net for this purpose. Following is the embedded photo I took uploaded in this site. 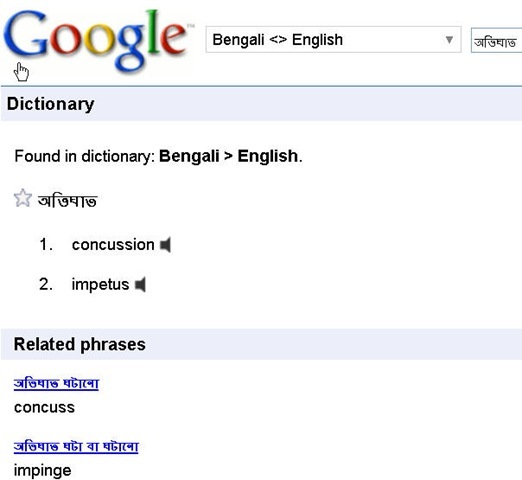 However the Bengali font size was so small that I had to Ctrl + “+” to make them properly visible. I hope Only major remaining language Oriya will follow up. This feature might be available shortly as part of other features of Google Search bar.